Our 2019 Enroute Mx Reunion will include a very historic tour, that will be a chance of a lifetime to attend. If you attempt to get on this tour on your own, it literally will take you at least a year to get on the list. Mr. Floyd Johnson (2019 Reunion Host) has coordinated a personal tour for our reunion group, to be held on Friday, Oct 11, 2019. * We will depart our hotel in Gatlinburg at xxxx (time TBD). * Arrive in Oak Ridge at xxxx (Time TBD). * We will have lunch before returning to Gatlinburg. * NOTE: We will be touring a Government installation and you can anticipate your vehicle to be inspected for any contraband. (I.E. Firearms, etc) Be aware, they have a strict no weapons policy, even small knives. Bags, purses, food, etc. are not allowed (except a bottle of water). This is due to 9/11 and other security issues. * We will be putting together a list of names that will be attending. (We will send out an email, when we are ready for the list). 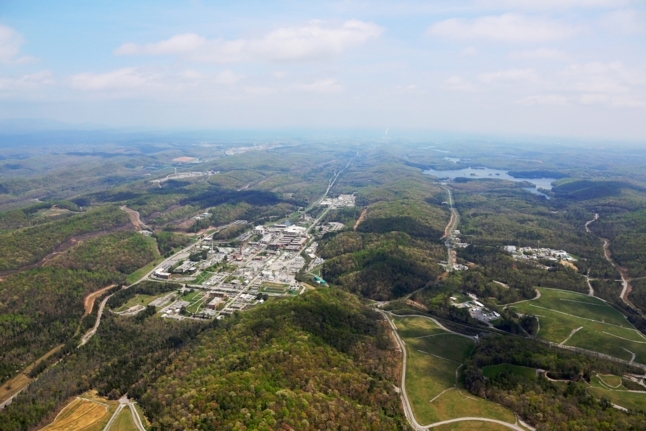 For the ones that are not familiar with the Oak Ridge Facilities, we would highly encourage you to google and read up on the Mahattaan Project, City Behind the Fence and any other items you find listed when searching Oak Ridge National Laboratory, Oak Ridge, TN. The Y-12 Security Complex has a museum and they show a movie and then you can ask questions, they also have lots of free literature and 2 DVD's they give you to bring home a watch to learn about the building of the bomb. You also get to visit the actual Graphite Reactor, the first in the world where they extracted the U-235 used for the atomic bomb. Plan staying 5 to 6 hours if you take the bus tour. Please check back, because we will posting more information regarding this superb reunion tour.